The location was great. Accommodation was fantastic. The hotel is very nice and clean. It is allowed to take the shoes for snow at the apartment, which I like it very much. clean, comfortable, big, great location, great view, fully equiped kitchen and bathroom, wifi, cable tv, even a dvd player with 12+ movies :) , just great. Close to both main slopes, 5 minute walk downhill to gondola station. 3 minute walk across the road to Rila Hotel chair lifts. location was great! Ski hire from the shop below really ideal. Basic apartment but roomy and clean. Perfect for our stay. (you get what you pay for) The massage at the SPA was great - but the SPA facilities itself are super limited. Very close the the gondola and bars. 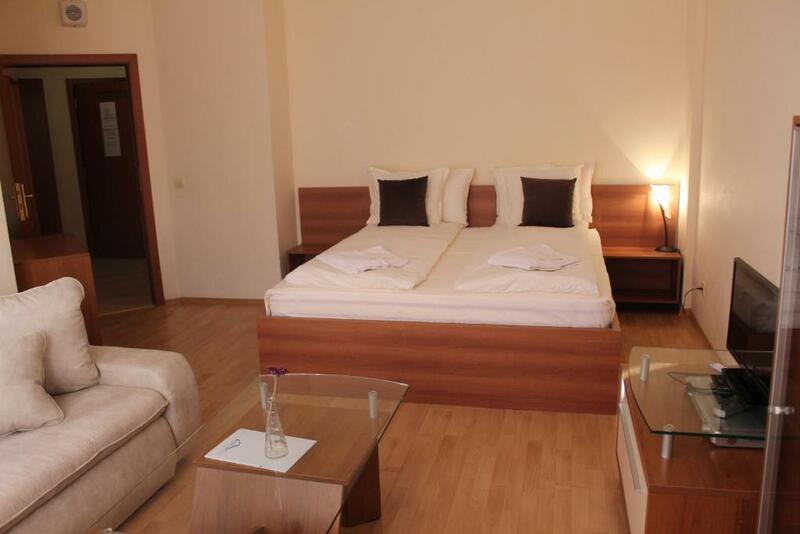 Very roomy rooms. Beds comfy. We had 2 balconies. 6th floor. No microwave. But had oven. Weird thing was no plug points in kitchen fir kettle other than 1 on floor. 🤷‍♀️ fab location. I used the spa x 2 for a massage with Dylan. He was FANTASTIC! Really firm and was good value for money 39 lev for 30min back neck shoulder. Didn’t eat there at all. It was a very spacious apartment, you certainly won't get cold with the underfloor heating and radiators. The cleaners come in everyday. You have all utensils,plates etc. Will definitely be staying there again. Wonderful. Room was cleaned each day- we were not expecting it. Plenty of facility to cook- we only used the kettle. Keys were given to us by our driver when we arrived. 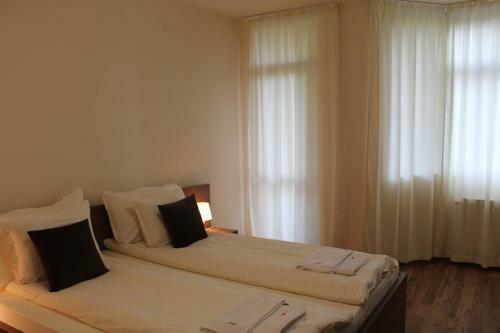 Plenty of space in both studio and apartment. Not too far from the slopes. Lock in a great price for PM Services Flora Apartments – rated 8.5 by recent guests! One of our best sellers in Borovets! 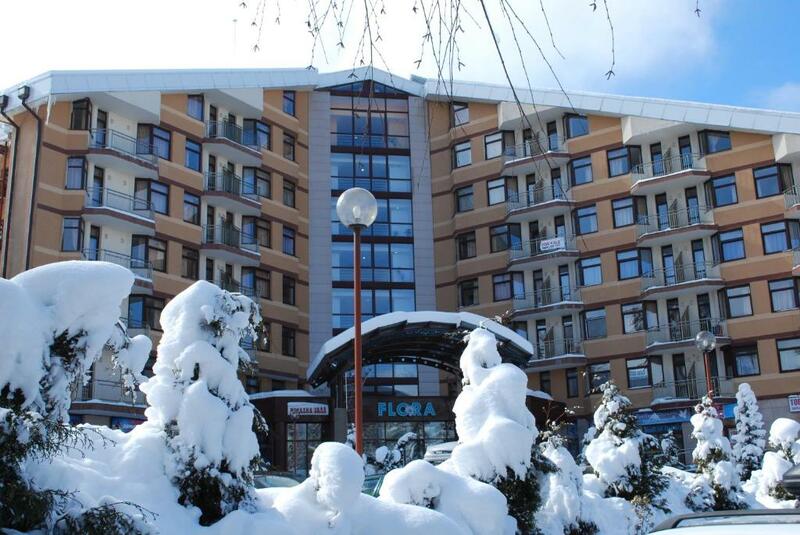 Boasting a convenient location in the center of Borovets ski resort with views over the fragrant pine forest, PMS Flora Apartments are only 150 feet from the gondola station. 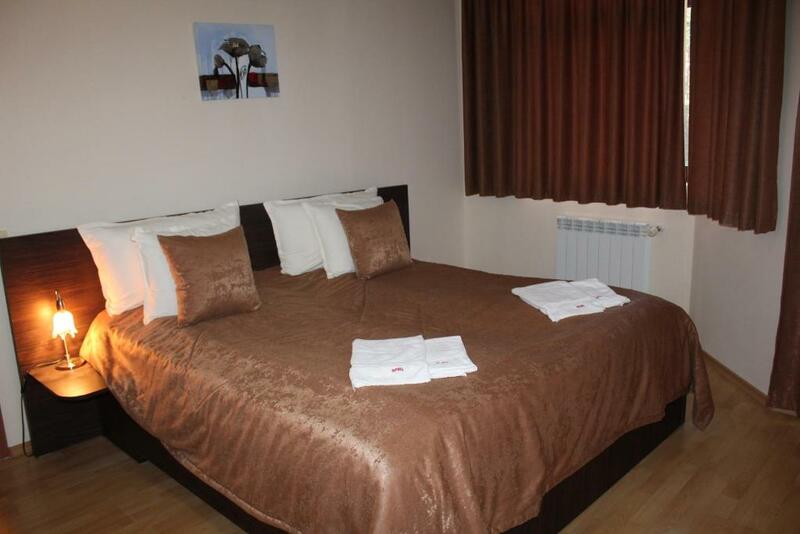 It consists of private apartments in Flora and Flora Residence complexes and a spa center. Beginners' slopes are only 100 feet from the property, making it a great starting point for your skiing adventure. After a long day you can unwind at the heated indoor swimming pool (against extra charge) or the spa center with a steam room. The Irish pub and the restaurant are perfect venues to taste delicious cuisine and have some fun. Transfers from and to Sofia Airport are provided on request. 뀐 Located in the top-rated area in Borovets, this property has an excellent location score of 9.3! When would you like to stay at PM Services Flora Apartments? With a separate bedroom, kitchenette and cable TV. Some units have a balcony. Please note that an extra bed can be added in this room type upon request and at a surcharge. With a kitchenette and cable TV. This apartment features a stove and kitchenware. Some units have a balcony. This studio features a sofa, mountain view, toaster and electric kettle. Apartment with a balcony, a bedroom with a double bed, a living room with a sofa bed and 2 bunk beds in the hallway between the bedroom and the living room, cable TV, and a private bathroom. This studio features a stovetop, electric kettle and kitchenette. This studio features a toaster, balcony and kitchenware. This apartment features a microwave, toaster and balcony. House Rules PM Services Flora Apartments takes special requests – add in the next step! PM Services Flora Apartments accepts these cards and reserves the right to temporarily hold an amount prior to arrival. Please note that all spa services offered at the hotel are not included in the price of the accommodations and need to be paid separately. The hotel offers breakfast upon request during the summer season. Please note that the accommodations in a specific building of the Flora and Flora Residence complex cannot be guaranteed and is subject to availability. Please note that any type of special request needs to be confirmed by PM Services Flora Apartments. Please note that damaged or missing items from the apartments will be paid extra. Please inform PM Services Flora Apartments of your expected arrival time in advance. You can use the Special Requests box when booking, or contact the property directly using the contact details in your confirmation. Been charged for children to use the swimming pool. Had to pay extra to use the spa facilities. Stray dogs barked every night we were there!!! Had to put earplugs in so that we could sleep as it was constant! Party/music playing until about 4am in the morning in the apartment next door to us, good job we were going home the next day! Very warm in the room. It was clean, comfortable, spacious. Key available on arrival. Everything worked, kettle, toaster. Spa facilities were not the best - but we did not have this included anyway so we went to another SPA as we had to pay. We arrived early hours of the morning and the key was in an envelope on the main reception. Very easy. Not cleaned very well, fresh towels every 2 days which is not good after you are sweating everyday and showering everyday. Leaking bath seals which meant paddling through water after showering. Have stayed at the flora previously and thought we would give it a final try but never again.